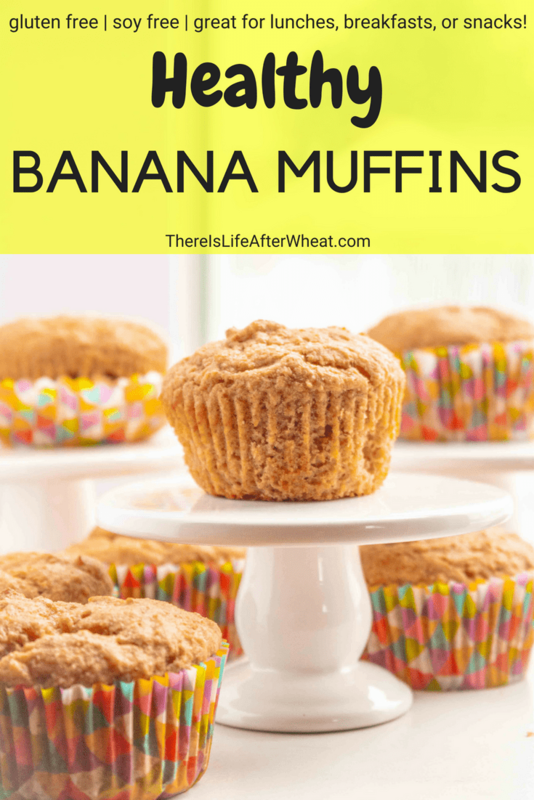 These healthy Banana Muffins are the perfect combination of taste, texture, and wholesome ingredients! They’re quick and easy to make, and the kids love them! Muffins are definitely a favorite food in the Life After Wheat kitchen. I love them because they’re quick and easy to make, and I always seem to have the ingredients on hand. 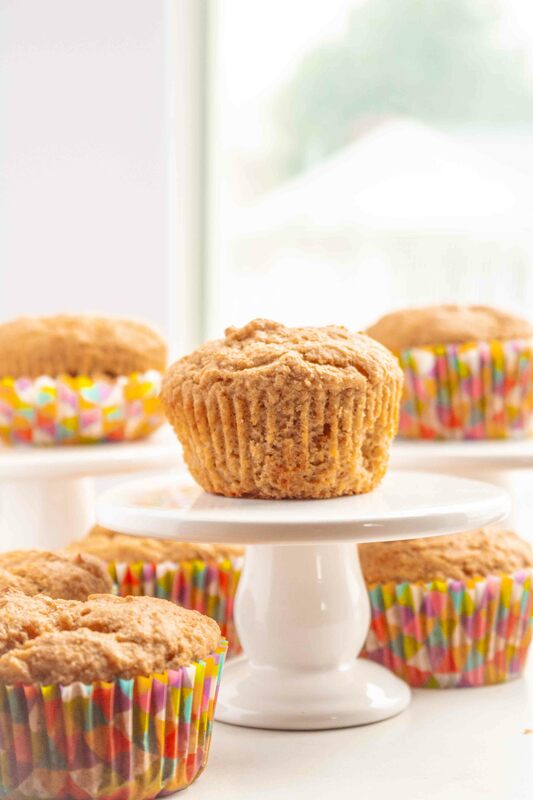 The kids love muffins because they’re portable, sweet, and freshly made. It’s definitely a win-win for everyone involved! Growing up, my mom made almost everything by hand. Bread, pizza, desserts, you name it. I don’t have many memories of her making something from a mix, or even eating pre-packaged items. I guess that’s made it easier for me to accommodate my husband’s food allergies since I was already comfortable being in the kitchen. My kids have grown up the same way I did. I spend a lot of time in the kitchen, and they love to be there helping me. It’s our family’s happy place, and I love that. 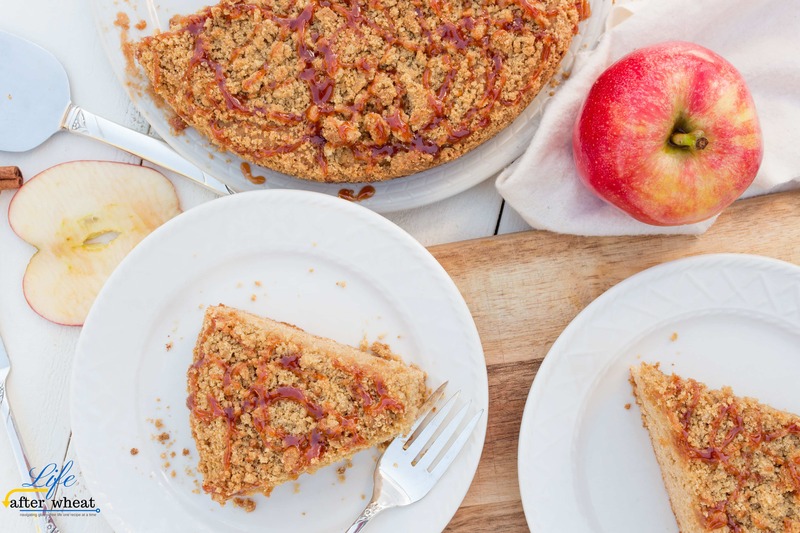 There is nothing quite like pulling a dish out of the oven, smelling the sweet aroma of something freshly-baked, and sitting around the dining room table to enjoy it as a family. 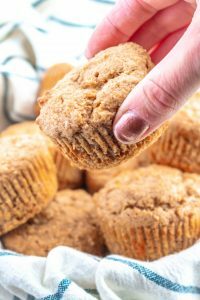 Because muffins are a regular occurrence here, I really wanted to make a healthier version that I felt good about eating and feeding to my kids. This Healthy Banana Muffin recipe is the perfect balance. 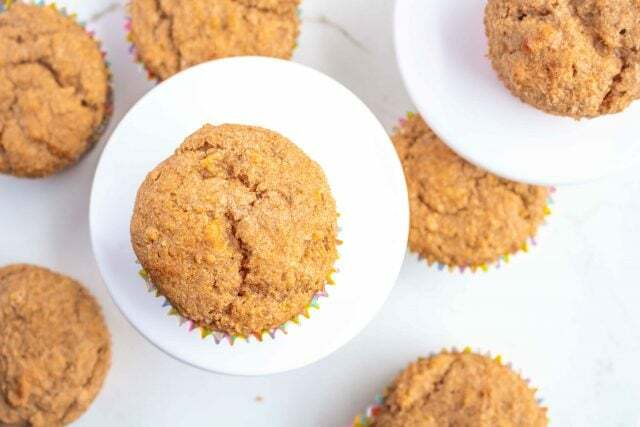 It is naturally sweetened with bananas and coconut sugar, has the soft, tender texture that muffins should have, and is sweet enough that the kids love it and always ask for more. I love baking with coconut sugar because it has a lower glycemic index. This means it doesn’t cause your blood sugar to spike as much as other sugars will. 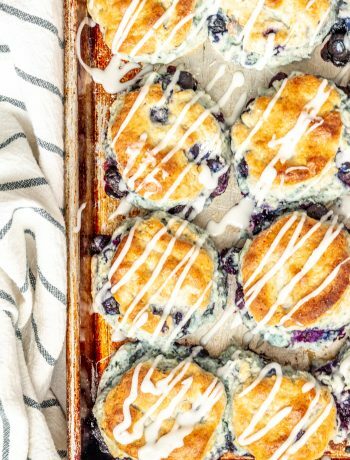 These muffins are great for a Saturday morning breakfast, school lunches, or as a bedtime or after-school snack. You can mix up a batch with just a bowl and a whisk, making them quick and easy. I often make batch and freeze them to pull out when we need something quick. They freeze really well, and you can fit 4 in a quart size freezer bag. Be sure to let them cool completely before freezing for the best texture. 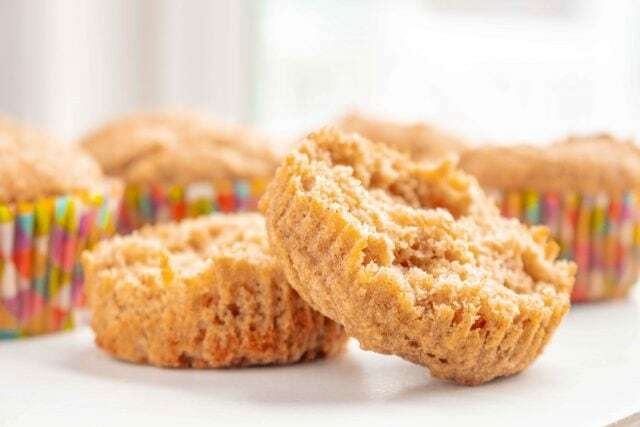 You can either pull the muffins out of the freezer a few hours before you want to eat them, or just pop them in the microwave for a bit, they’re great either way! 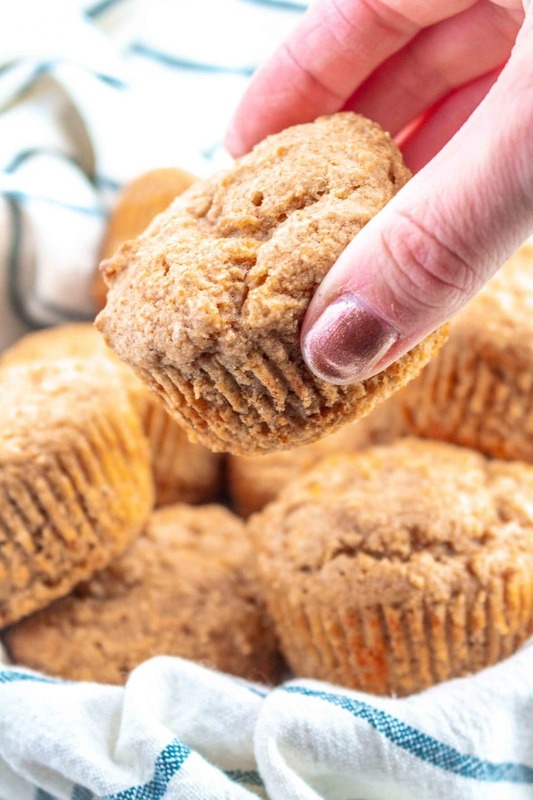 These Healthy banana muffins also feature a well-rounded combination of carbs, proteins, and healthy fats to leave you feeling full and happy after you enjoy them 🙂 That’s one reason I like to keep them on hand, so the kids can grab one or two for breakfast or as they’re heading out to soccer practice. 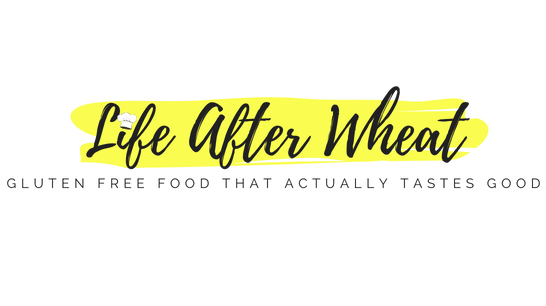 I feel like we’re often rushed with four kids running around, so quick and easy snacks and meals are a must, and it’s a definite bonus if they’re healthy too! I keep a lot of produce around, and we often have a few bananas that end up past their prime. 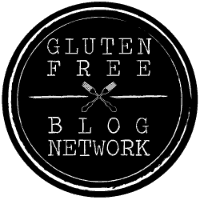 When I don’t use them for these healthy banana muffins, I’ll end up making Browned Butter Banana Bread or these grain free banana bars from Gluten Free Palate. These healthy Banana Muffins are the perfect combination of taste, texture, and wholesome ingredients! They're quick and easy to make, and the kids love them! Whisk together mashed bananas, Greek yogurt, egg, vanilla, and sugars. Add remaining ingredients and whisk just until combined, or stir with a spoon. Prepare a muffin tin by lining with paper liners and spraying gently with a gluten free cooking spray. Or generously spray the muffin tin. Divide batter evenly between 12 muffin cups and bake for 13-15 minutes, until a toothpick inserted in the center comes out clean. Once completely cooled, these muffins can be frozen. To thaw, simply remove from the freezer, or warm in the microwave for about 30 seconds each. Coconut sugar is used as a sweetener in this recipe because it is a natural sweetener that is lower glycemic. This means it does not cause your blood sugar to rise as quickly as regular sugar. Just about any gluten free flour should work in this recipe. I think Bob's Red Mill 1:1 would work. I have found that Namaste flour is a great option, but often doesn't convert cup for cup. If you try Namaste with this recipe, try using 3/4 cup instead and adding a tablespoon or 2 more if needed. I have way too many bananas not being eaten around here recently…perfect for making muffins I’d say! Great looking recipe!